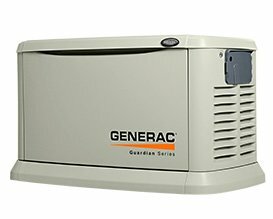 Whether you need a Generac generator service NJ, Kohler generator service NJ, Briggs and Stratton generator service NJ, or any other brand of generator service and repair, RCS Electrical Services has the skills and the training to bring solutions to all your generator service and repair needs. 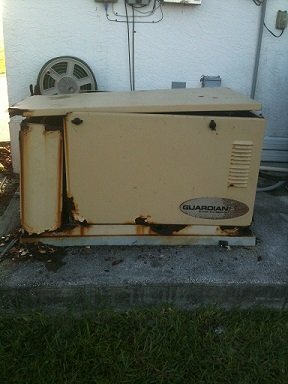 In these kinds of circumstances we recommend that you replace the enclosure kit rather than discard the entire generator. 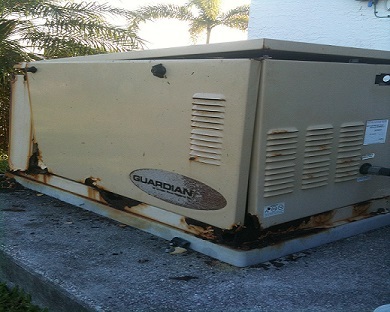 This procedure is a sure way to preserve the investment you have already made in your generator and allow it to give you many more years of service. Although your Kohler generator is very robust and reliable, it does need regular service. If your Kohler generator is in need of service, repair or maintenance, click here to request a technician. 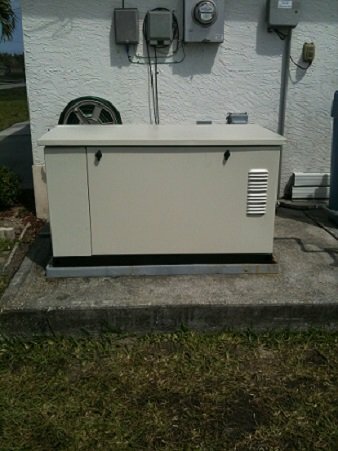 Brings and Stratton generator service NJ. General Electric generator service NJ. For example, when the battery is not serviced every year, it may dry out and fail. Often the battery charger notices that the battery is not retaining its charge, and puts more power into the battery, which can explode. When a battery explodes, it sprays battery acid inside the generator cabinet. This acid can eat away at sensitive winding inside the generator, which will now cost thousands of dollars to repair. This is just one example at what can occur when generator service New Jersey is neglected. Click here to request a General Electric generator service NJ. Audubon, Audubon Park, Barrington, Bellmawr, Berlin, Berlin Township, Brooklawn, Camden, Cherry Hill Township, Chesilhurst, Clementon, Collingswood, Gibbsboro, Gloucester Township, Haddon Township, Haddon Heights, Haddonfield, Hi-Nella, Laurel Springs, Lawnside, Lindenwold, Magnolia, Merchantville, Mount Ephraim, Oaklyn, Pennsauken Township, Pine Hill, Pine Valley, Runnemede, Somerdale, Strafford, Tavistock, Voorhees Township, Waterford Township, Winslow Township, Woodlynne. Bridgeton, Commercial Township, Deerfield Township, Downe Township, Fairfield Township, Greenwich Township, Hopewell Township, Lawrence Township, Maurice River Township, Millville, Shiloh, Stow Creek Township, Upper Deerfield Township, Vineland. East Windsor Township, Ewing Township, Hamilton Township, Hightstown, Hopewell, Hopewell Township, Lawrence Township, Pennington, Borough of Princeton, Princeton Township, Robbinsville Township, Trenton, West Windsor Township. Carteret, Cranbury Township, Dunellen, East Brunswick Township, Edison Township, Helmetta, Highland Park, Jamesburg, Metuchen, Middlesex, Milltown, Monroe Township, North Brunswick Township, New Brunswick, Old Bridge Township, Perth Amboy, Piscataway Township, Plainsboro Township, Sayreville, South Amboy, South Brunswick Township, South Plainfield, South River, Spotswood, Woodbridge Township. Aberdeen Township, Allenhurst, Allentown, Asbury Park, Atlantic Highlands, Avon by the Sea, Belmar, Bradley Beach, Brielle, Colt Neck Township, Deal, Eatontown, Englishtown, Fair Haven, Farmingdale, Freehold, Freehold Township, Hazlet Township, Highlands, Holmdel Township, Howell Township, Interlaken, Keansburg, Keyport, Lake Como, Little Silver, Loch Arbour, Long Branch, Manalapan Township, Manasquan, Marlboro Township, Matawan, Middletown Township, Millstone Township, Millstone Township, Monmouth Beach, Neptune City, Neptune Township, Ocean Township, Oceanport, Red Bank, Roosevelt, Rumson, Sea Bright, Sea Girt, Shrewsbury, Shrewsbury Township, Spring Lake, Spring Lake Heights, Tinton Falls, Union Beach, Upper Freehold Township, Wall Township, West Long Branch. Tuckerton, Beach Haven, Ship Bottom, Surf City, Harvey Cedars, Barnegat Light, Seaside Heights, Ocean Gate, Island Heights, Pine Beach, Beachwood, South Toms River, Lavellette, Mantoloking, Bay Head, Point Pleasant Beach, Point Pleasant, Lakehurst, Plumsted Township, Jackson Township, Lakewood Township, Brick Township, Toms River Township, Manchester Township, Berkeley Township, Lacey Township, Ocean Township, Barnegat Township, Stafford Township, Eagleswood Township, Long Beach Township, Little Egg Harbor Township. Bedminster Township, Bernards Township, Bernardsville, Bound Brook, Branchburg Township, Bridgewater Township, Far Hills, Franklin Township, Green Brook Township, Hillsborough Township, Manville, Millstone, Montgomery Township, North Plainfield, Peapack and Gladstone, Raritan, Rock Hill, Somerville, South Bound Brook, Warren Township, Watchung.